Here at Imperial we like a BMW or two and the 7 Series is no exception! 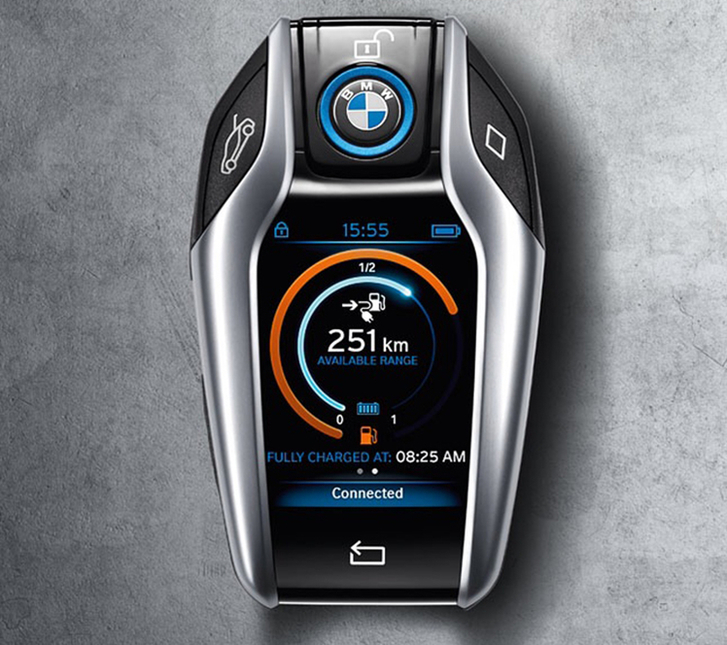 So when we heard of the new technology proclaimed to be making a debut in the 2016 BMW 7 Series we were a tad excited! Well… Where do we start? Firstly, the all new 7 Series will park itself! The car will allow the owner to approach a narrow spot, step out and press a button on the all new interactive display key (we’ll get to that bit in a minute) and continue to park in the space. In the same instance, when returning back to the car, touch the button and the 7 will back itself out. So no more having to squeeze out the door in a dodgy fashion! The function will be limited to nose-in parking and the owner will need to let the car know when to stop when backing out. Although it will detect an obstacle in its path, if it has an open space it could just continue to back up. 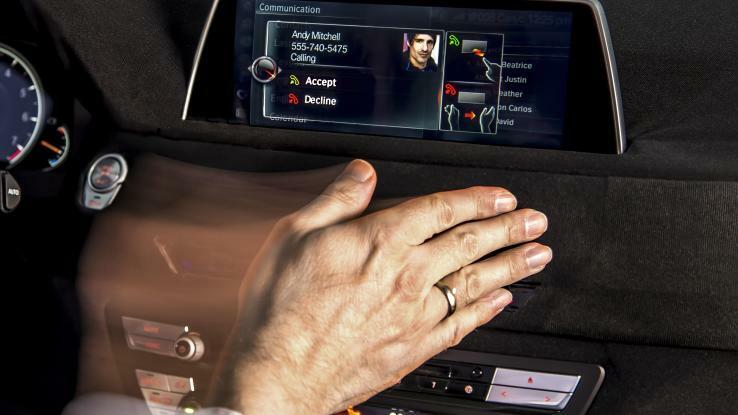 Is this another step closer from BMW to autonomous driving? Now we’ll get to that interactive display key where the magic really happens! Forget about what you previously expected from a key fob, this is far more superior! Firstly there will be an image of the new 7 on the display screen. 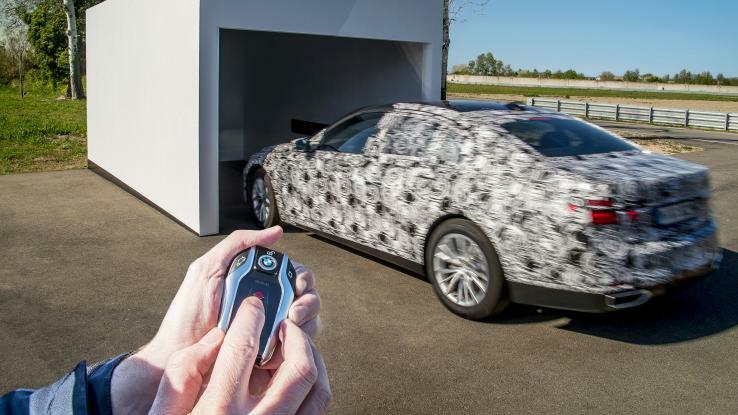 The key will act more as remote for the car displaying its vitals (no official images as yet, but rumoured to be very much like the BMW i8 key). You can poke it, fondle it, touch it and talk to it: It’s iDrive! Another component to receive a makeover is the iDrive. The latest iteration of BMW’s infotainment suite is all about options. The 7 will have the first touchscreen interface along with the very exciting gesture controls as well as all new voice commands. With the gesture controls, you will be able to answer calls (or ignore them if you like) with a wave of the hand and even adjust the volume of your music by moving your finger in a circular motion. 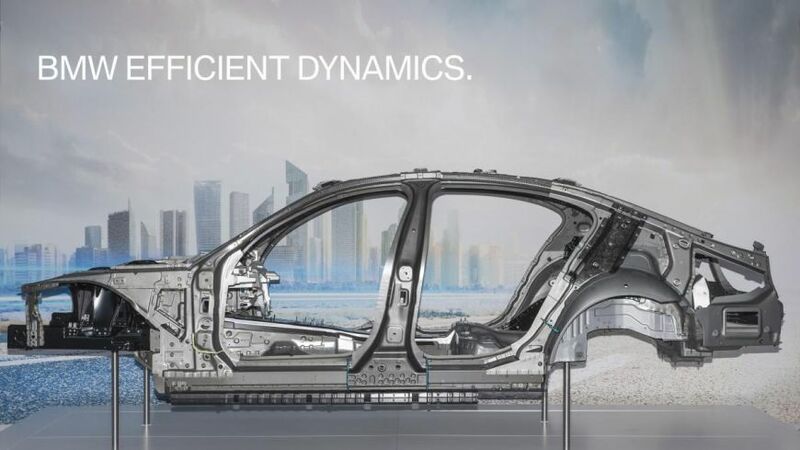 BMW’s weight-shaving strategy blends carbon, aluminium and high-strength steel on the flagship model. Named ‘Carbon Core’ BMW’s newest chassis construction technique. They have used carbon fibre structural elements to provide additional rigidity in key parts of the unibody structure along with aluminium to act as standalone structural members. BMW have used this combination to help maximise handling. Focusing on lightweight efforts above the cars centre of gravity, keeping as little mass as possible up high and concentrating heavier components as low as possible. Check out our current range of BMW's from 1 Series to X by clicking here and don't forget to ask about our Finance and PCP options.